I love working with Zak. Working with Zak is different than working with other designers. He dives in deep to find the essence of a brand. He works with you to fully develop the brand’s personality and marries this personality with a feel that engages your target audience. Zak works through this process with incredible passion and skill. His ability to ask the right questions and to find the heart of a brand lead to very successful projects. I was the Creative Director at Scrappy Face, a startup social media marketing, interactive and analytics firm. For over a year and counting, I lead the creative design effort on everything interactive in the social space as Creative Director. From creating small marketing videos for viral advertisement to designing and producing robust, user-focused websites and social media assets to inspire, entertain and encourage global audiences to engage with a diverse portfolio of startup brands and organizations. 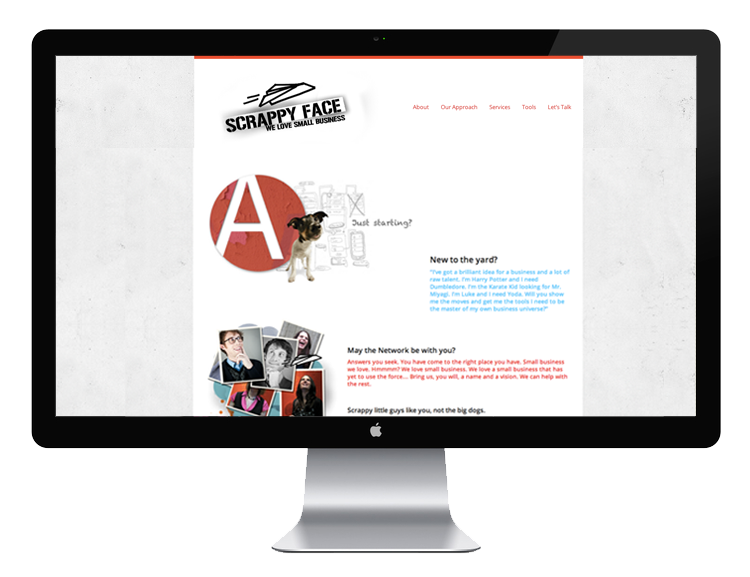 The challenge with ScrappyFace was trying to understand the companies voice through social media and the branding of assets. Once the overall feeling was established we worked on slow releases and built cliental locally. I was responsible for leading meetings on wireframes and mockups and worked closely with clients until a finished product was produced.